The other day on Instagram I told you all that I had a December goal of riding 100 miles on the Peloton and I was REALLY close to also committing to cutting down on sugar. But then I realized I was going to be doing this post the next day and making Christmas cookies next week, so I’ve decided to hold off on that one! 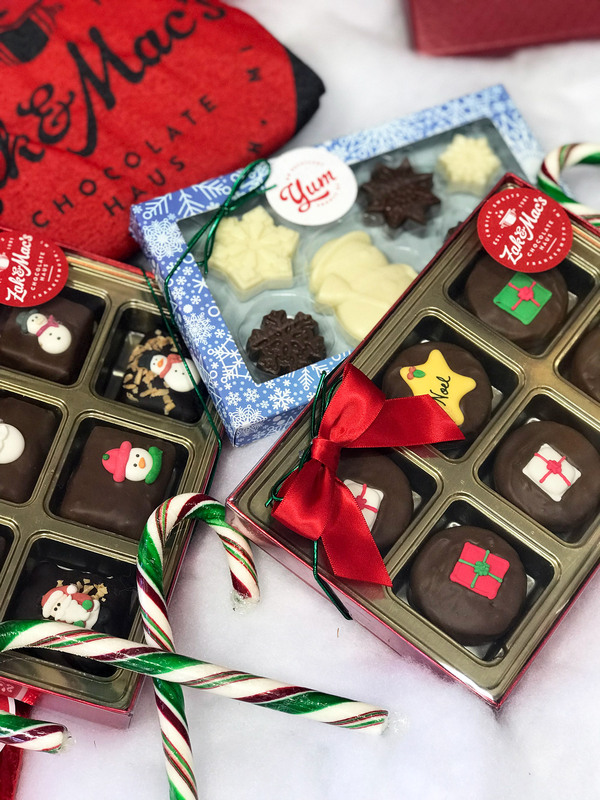 With my insane sweet tooth, I really can’t do holiday gift guides without a little bit of chocolate and I’m excited to share this local gem again here on the blog. 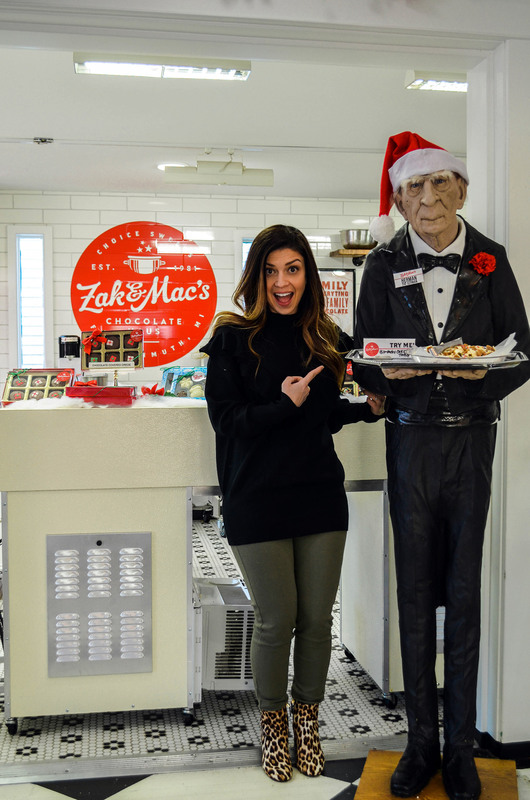 Zak & Mac’s is in Frankenmuth, Michigan and it is the cutest little shop with tons of house-made sweets and treats. I love their toffee, chocolate salami and chocolate covered caramel corn. 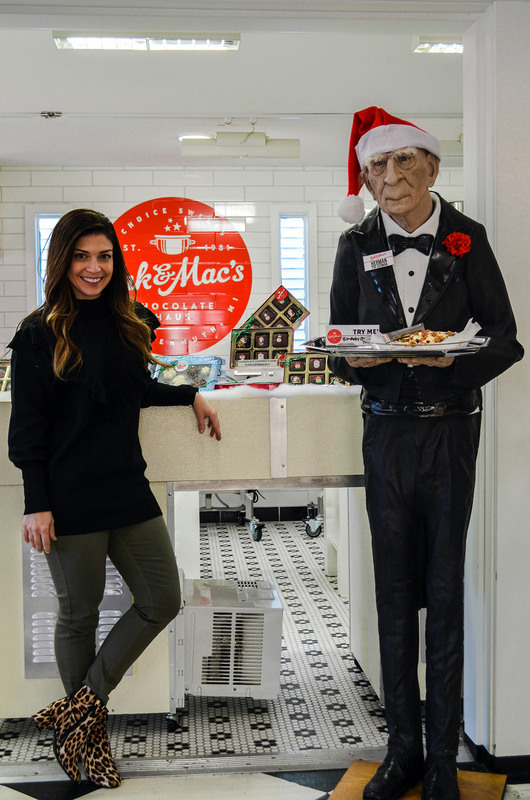 I was in the store this time to check out what they have available for holiday gifts and wanted to share with you these great gift boxes. 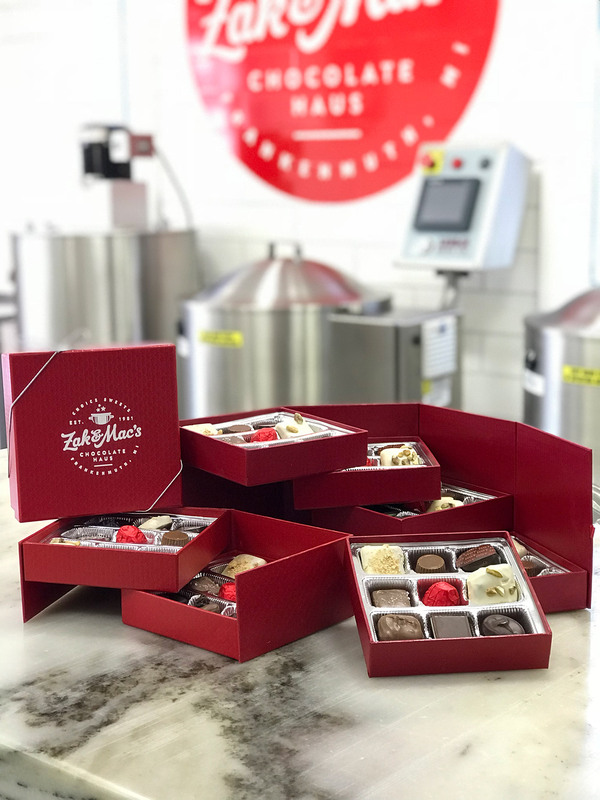 They’re all pre-assembled with their best selling chocolates and come in three sizes ranging in price from $16.99 to $54.99. 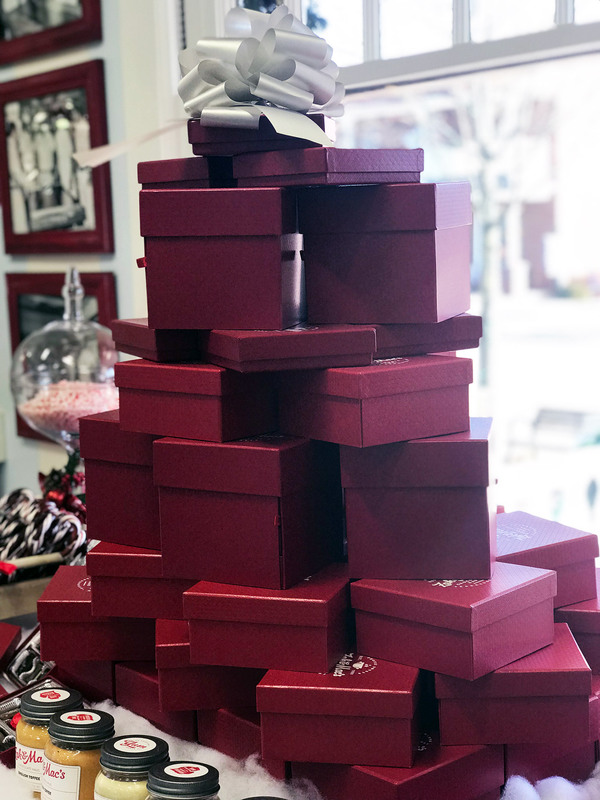 They’re also perfectly festive in these pretty red boxes. 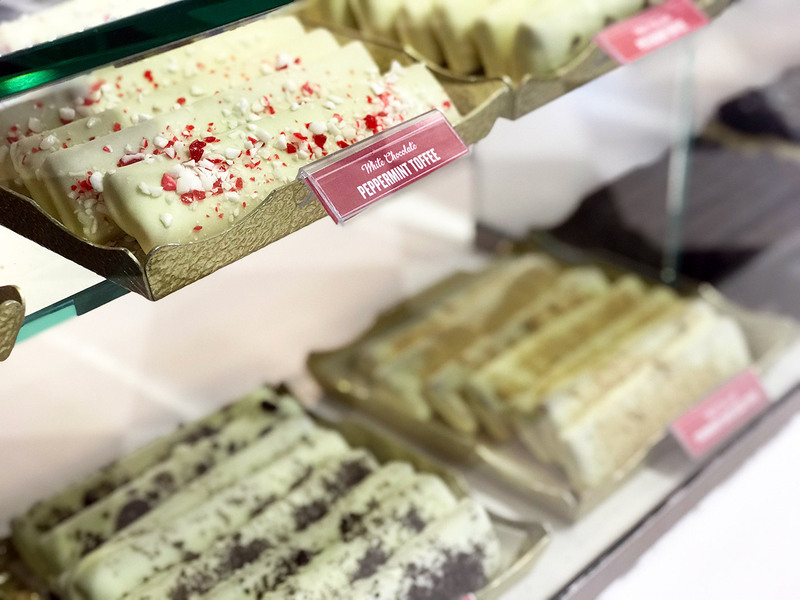 If you’re looking for a minty gift, I’d try the white peppermint toffee or the peppermint bark (my personal favorite!). Any of the gift sets are awesome for hostess gifts, business gifts or to just send along to friends and family. And now everything is available online now so you can ship anywhere in the country!